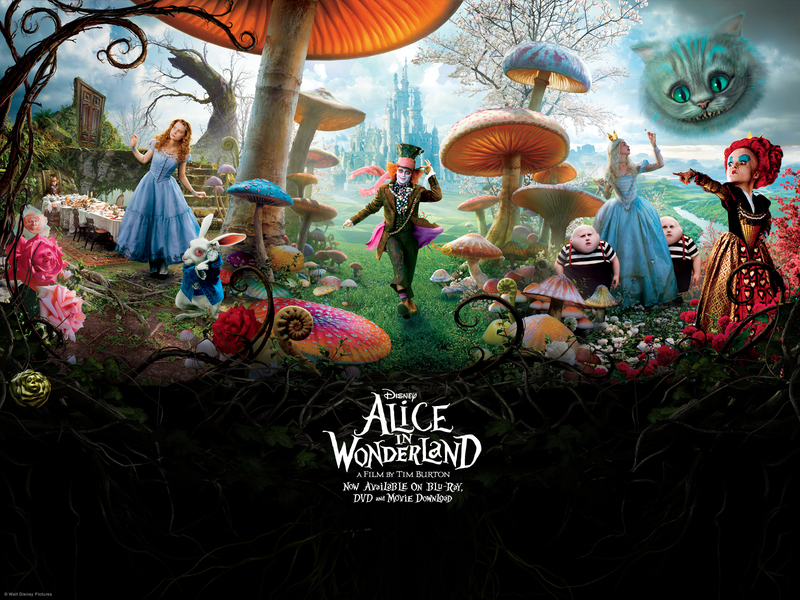 不思議の国のアリス. . HD Wallpaper and background images in the アリス・イン・ワンダーランド（映画） club tagged: alice in wonderland 2010 tim burton's alice in wonderland movie disney film. This アリス・イン・ワンダーランド（映画） wallpaper might contain アニメ, 漫画, マンガ, and コミック.